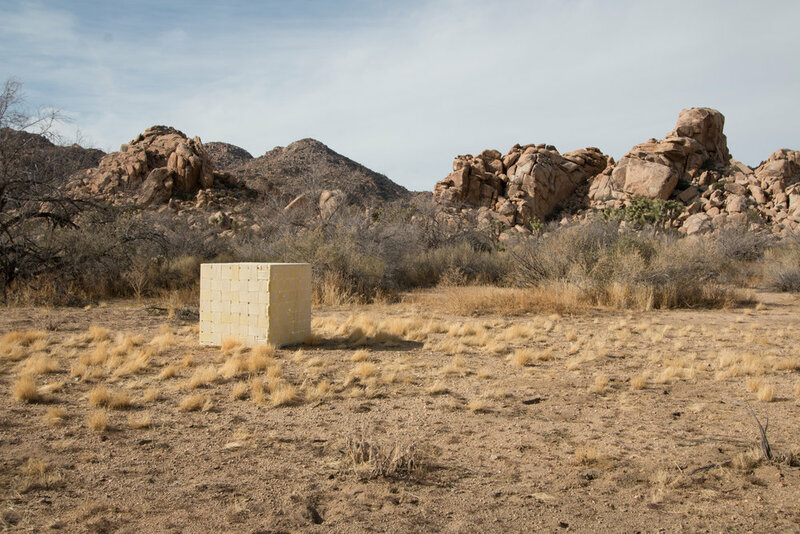 This project explores the connections between human memory, materials, color, and place. Naturally dyed with a desert sage and woven as a simple cube- this object was used as a tool to help me describe a place known for it's vibrancy in light, color, and life. The cubes shadows and planes describe time of day. The shear fabric reflects light and color, offering information on it’s surroundings while blending in with its environment.